Welcome to a minor interlude in which I reveal the maps that cover the Karnold Province. I'm not about to do the rest of Upper Exile yet  there's still a couple things that need to happen down there before I reveal it all. I also checked, and I haven't triggered the next major event down there yet. I think that is flagged for day 90 or thereabouts, but we're just past day 60. Karnold Province is the first real 'empty' region we've come across in Valorim. There are gargantuan spaces between places where there is nothing but terrain. Empty lands that barely have encounters. And it's not the first region we're going to encounter like this. But anyhow, on with the maps! 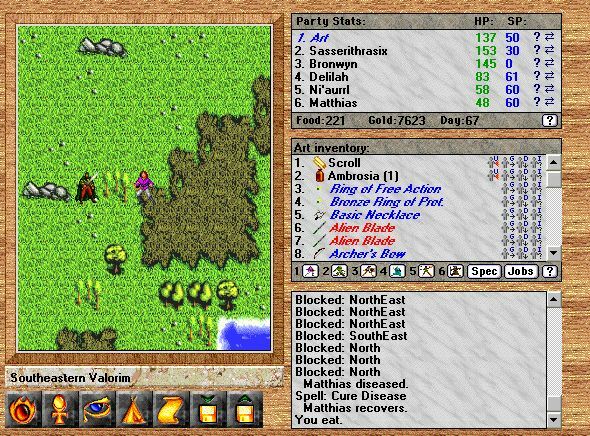 The first place is one I missed last time  the Remote Hut or Teleporter Hut is our quick-travel outbound from Fort Emergence, and leads to the five (remaining) major cities in Valorim. Although why you would take the Krizsan portal is beyond me. There is supposed to be an encounter here where you bet up some Troglodytes, and they drop a map to Castle Troglo. Art has the map, but I don't have any record of the encounter! Bolton is the first town I reached in my exploration of Karnold Province, and it has two points of interest. The first is the Acolyte you have to Charm in order to talk to, and the second is the presence of the Augmentation forge, which will give a +2 to any non-magic weapon. And this is where I would have put the map to the Wolfrider Warrens had I remembered to get it. I'll save that for next time. Oh isn't that cute. Generic Bandits! I'm way overleveled for them, so they book it instead of fighting it out. The Dryad Grove is completely optional, and the rewards mediocre. But we might as well solve the problem while we're here, right? Welcome to beautiful Libras! Home to nothing much in particular, except for the boat ride to the Lost Isles. If the map looks odd, it's because I skimped out on the sides of the map  they're just more empty space. Nice to see we're still wasting room every which way. The Lost Isle. SELLS GREYMOLD. Oh, and apparently there are Basilisks out here, but who cares about silly little things like that? The Lair of the Ursagi is another optional place, but Delenn's mission here is actually unique in the game  it's not a concrete objective, but you need to perform a minimum kill count to accomplish it. 50 Bear Skins, anyone? Welcome to Gorst, ruined town thanks to a storm a year or more before the game begins. Just remember to talk to the obviously evil acolyte for some alchemy ingredients. Storm Port has the nice Random Shop, as well as the 'mission' to investigate the isles to the south. Gebra is completely normal. There is nothing of interest here. You should go somewhere else, and definitely not investigate the building in the south-east corner. The Fiery Lair is completely optional, but good for some cash with all the gems lying around. Welcome to Golddale! Home of retired Ambassadors/Emperors/Ranger Ones. Oh, and two quests that take you east through the mines and into the Lair of the Ursagi. 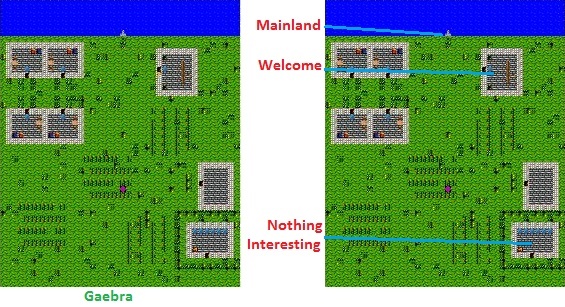 The Golddale Mines are massively compressed when compared to the distance covered on the overworld. Still, the Sliths haven't had long to fortify themselves in position, meaning all you have to do is go around to break through. WASTE OF SPACE! 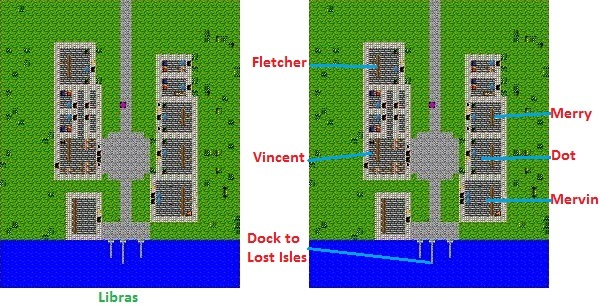 This entire 'town' can fit onto a small mapsheet, so why is it on a huge one instead? I only needed one screenshot for it! 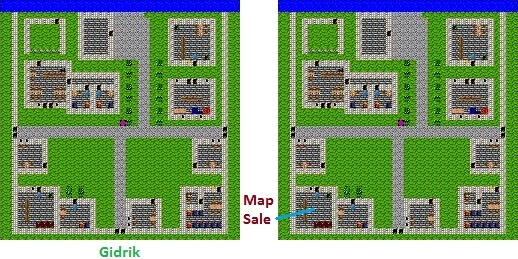 At least the map is cheap here, and you can find out about the Exile spy in Sharimik. Gidrik.... The only thing here is the alchemist who tells you about the map that's up north, and won't be useful for another 20 updates at least. Sharimik! Capital of the Karnold Province. So much stuff to do here, and it's refreshing to see so many named NPCs! I'll let the update where I go through here speak for themselves though. 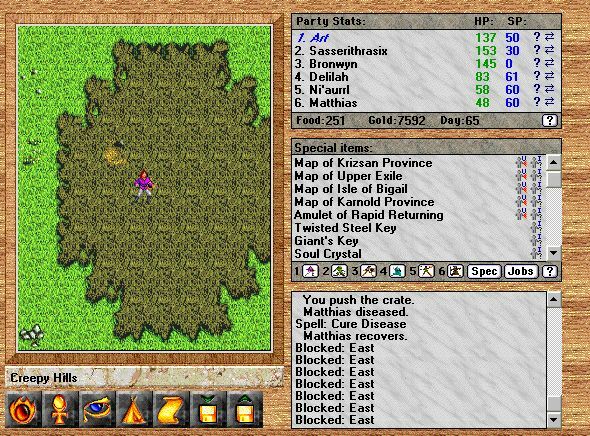 Aminro is another optional town. Although the Mayor has given up, there is still the map in the rocks to the north west, provided you paid off the alchemist in Girdik. Angel's Rest is also optional, but we do get the second stage of our quest for the Black Halberd here. The first floor of the Troglodyte Temple is a straight shot to the goal, unless you like getting flanked and beaten up. Also, I went to see what was behind the barriers in the lower-left, and found.... a Crossbow with bolts. And the second level is compact. 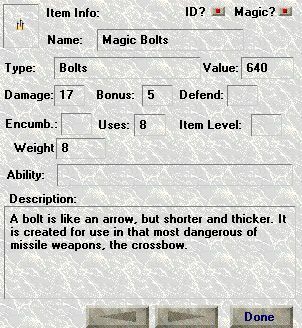 Just remember to bring enough Spell Points to blast both evil, vile altars. Softport has the most awesome Mayor so far in the game, and the Church is one stop on the road to the Ritual of Sanctification. And in this small, out of the way hut, is someone who can teach you the Ritual of Sanctification. It's a bit out of our way, but still. 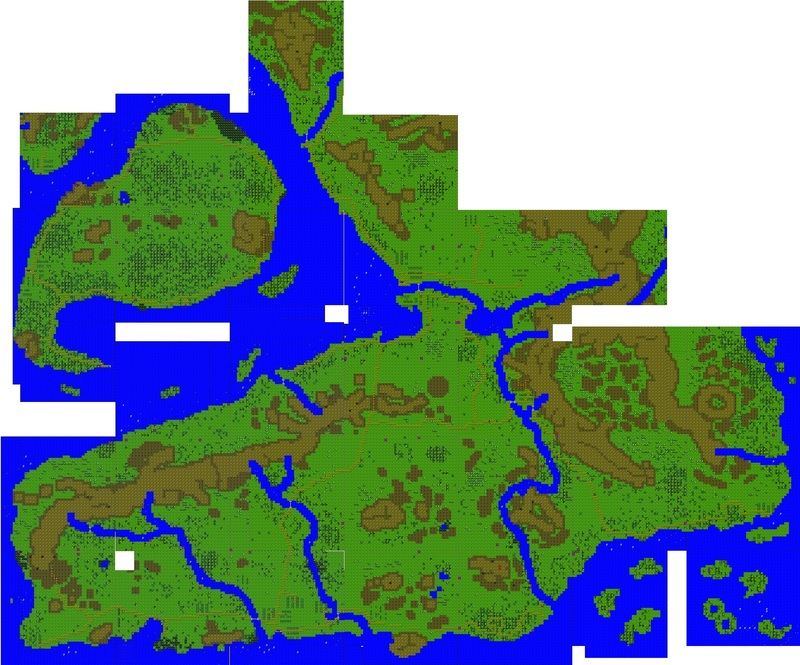 And here we have the unannotated, composite Overworld Map of Karnod Provice, and a spear north, which is technically in the next province up. It's huge. Bigger than Krizsan or Bigail. And the annotated version, just to show you how far we've come, and realize how far we have to go. 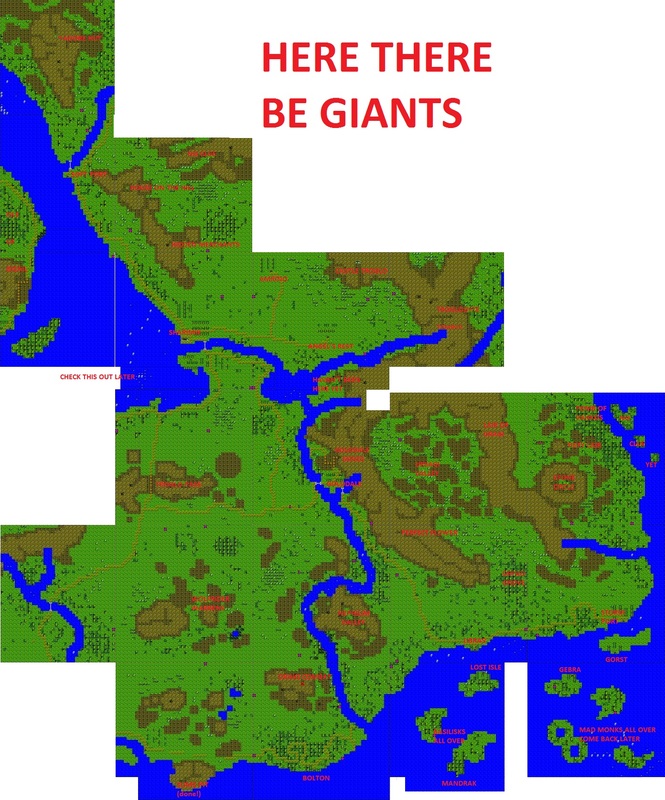 This ridiculous map is the current known overworld. And it's less than half filled in From here on out though, it's going to have to be broken into smaller pieces. This map is already 1.63mb big, and lpix doesn't like files larger than 2. There is no map of Castle Troglo or Under Troglo at this time. Mostly because I wasn't able to explore the former properly, and so it will have to wait until I've finished off this quest line properly. Until then, join me next time, when I step into Midori Province  and take on the Giants.